Today Fox released a teaser trailer for its new Batman prequel series, introducing potential viewers to “the last good man in Gotham.” That man is James Gordon, who goes on to become Commissioner Gordon, a name familiar to all Batman fans. Playing the role of Gordon in Gotham is Ben McKenzie, known for his roles in Southland and The O.C. Gordon joins a cast that also includes Jada Pinkett Smith who plays gang boss Fish Mooney; Camren Bicondova who plays Selina Kyle (i.e. the future Catwoman); and Robin Lord Taylor who plays Oswald Cobblepot, aka The Penguin. 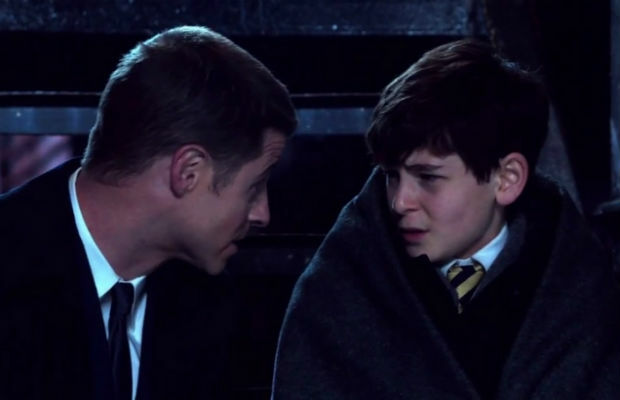 Gotham premieres Monday, Sept. 22 at 8 p.m. on Fox.